Climbing Shoes There are 2 products. Extasy it‘s not just a name, Extasy is a philosophy that gives you the best feeling from climbing. Years of studying, experimenting and never ending testing is how our extasy formula was developed into a climbing shoe rubber. This new highly technical recipe, developed for specific use, enhances shoe performance of the shoe toe box better than it‘s competition. Well balanced combination between edging strengths and smear performance makes Extasy a strong weapon that will stand up to any rock structure there is. 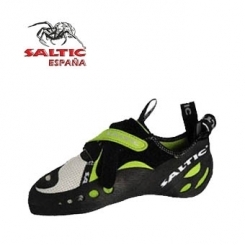 Extasy is guaranted for extensive performance.The only thing you have to do is put on Saltic shoes and you will be in Extasy.